Even the most top-of-the-line tablets lack the most basic hardware that you need for a great user experience. The 10 accessories listed here will do a variety of things to help you enjoy your device, whether it’s improve battery life, protect your screen from prying eyes, offer much-needed additional storage or let you type with a keyboard or stylus. 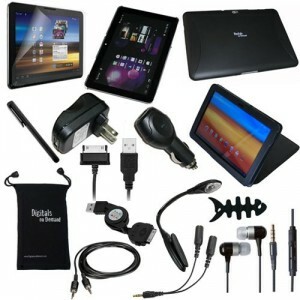 Find your necessary tablet accessories here! You might even find things you like that simply make life easier! If you can think of it, we have it here. If you can’t find it, leave a message for me and I’ll add it ASAP. I understand how important it is for us to have our toys. And for those times that our toys need to be dual purposed, find those work related accessories here! Tablet Cases & Sleeves found here for every occasion!